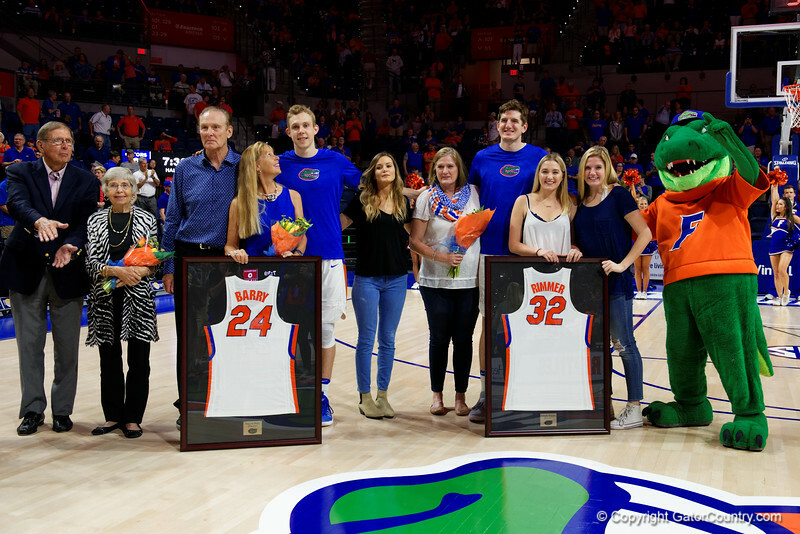 Univeristy of Florida Gators guard Canyon Barry and Univeristy of Florida Gators center Schuyler Rimmer as the Gators celebrate senior day prior to their game against the Arkansas Razorbacks in Exactech Arena at the Stephen C. O'Connell Center in Gainesville, Florida. March 1st, 2017. Gator Country photo by David Bowie.